When does the electorate finally say, "Enough is enough," and march to the Capitol Building to root out the political lackeys of Conservatism? Is it when the Conservatives' lackeys shut our government down? Isn't the old standby "vote them out" a non-starter when the most scandalous gerrymandering in our history guarantees perpetual GOP victories in Congress and the state legislatures? "If somewhere in the recesses of your mind you were wondering how, despite President Barack Obama’s re-election victory and the Democratic Party’s gains in the Senate, Republicans continue to control the House of Representatives, think redistricting. "Over the past few years, as the Republican Party has gained control over more state legislatures than Democrats. 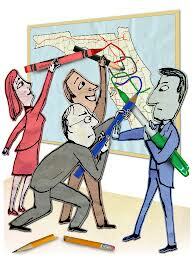 And, it has turned redistricting into a finely-honed, well-financed project. That has virtually insured their control over the House. 'While the Voting Rights Act strongly protects against racial gerrymanders, manipulating the lines to favor a political party is common,' the Rose Institute’s Redistricting in America website points out. "ProPublica’s Olga Pierce, Justin Elliott and Theodoric Meyer recently reported, in a piece titled 'How Dark Money Helped Republicans Hold the House and Hurt Voters,' that 'Republicans had a years-long strategy of winning state houses in order to control each state's once-a-decade redistricting process,' That strategy helped the GOP put a hammerlock on its goal of creating safe Republican districts that would allow it to control of the House. 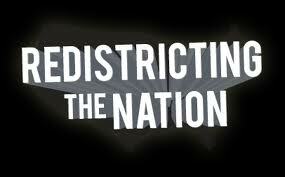 "Ultimately, weighted redistricting – which is done by both political parties -- allowed for Republicans to continue to control the House of Representatives even though Democratic congressional candidates received a million more votes than the GOP’s congressional candidates. "According to ProPublica, 'To fund the work, the Republican State Leadership Committee used its previously dormant nonprofit arm, the State Government Leadership Foundation. 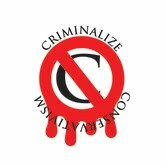 Such dark money groups are increasingly popular because they are allowed to keep secret the identity of their donors. Federal tax law permits them to do this as long as they pledge that politics is not their primary focus. “Flush with anonymous donors' cash, the Foundation paid $166,000 to hire the GOP's pre-eminent redistricting experts, according to tax documents. The team leader was Tom Hofeller, architect of Republican-friendly maps going back decades. "While 2010’s redistricting resulted in keeping the Republican Party’s electoral hopes alive, voter suppression efforts engineered mostly by GOP-controlled state legislatures were largely ineffective this time around. However, expect more voter suppression efforts in years to come. 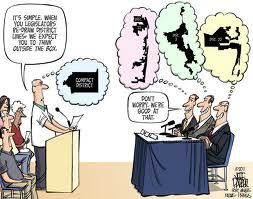 "And, there’s another electoral scheme the GOP is kicking around; gerrymandering the electoral college. Instead of the winner of the majority of votes in a state receiving all of that state’s electoral votes, those votes would be divided on the basis of congressional districts. In such swing states as Pennsylvania, Ohio and Virginia, where Obama won largely because of big city turnout, Romney, who won more congressional districts, would have received the majority of electoral votes. 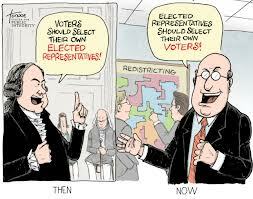 "Gerrymandering the electoral college could become the Republican Party’s strategic push for 2016. 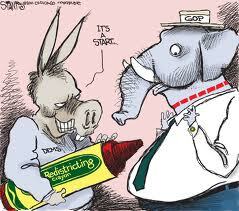 In that case, chalk up another victory for the GOP’s redistricting project." Few after reading this article would doubt that we wouldn't "expect more voter suppression efforts in years to come. The new scheme by the Conservative leadership to gerrymander the Electoral College to guarantee a perpetual seat for their lapdogs in the White House is unacceptable to say the least, and recalls our initial surmise, that it is the time that "electorate finally does say, 'Enough is enough,' and marches to Washington to root out the political lackeys of Conservatism in the Capitol Building.